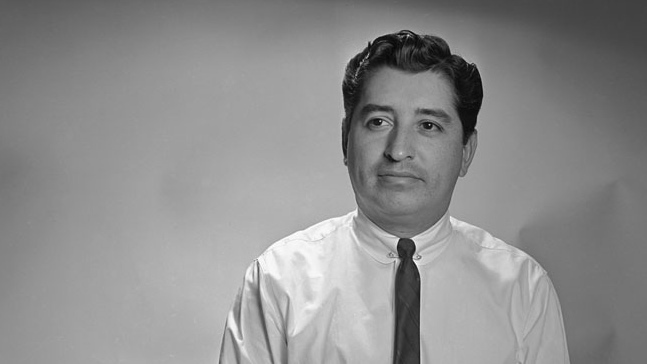 "Ruben Salazar put an indelible stamp on the profession of journalism in Los Angeles," said Los Angeles Mayor Antonio Villaraigosa. "From the battlefields of Vietnam to the streets of East L.A., he reported the news with a rare combination of toughness and humanity. It's great to finally see his legacy honored on a national level with the issuance of this postage stamp." Tens of millions of the first-class 41-cent stamps will be issued some time next year, Postal Service officials said. It will be among five stamps honoring U.S. journalists to be officially unveiled in Washington on Oct. 5. "Ruben Salazar was a courageous and pioneering journalist, and we were honored to have him as a colleague at The Times," said Los Angeles Times Publisher David Hiller. "This commemorative stamp is a fine tribute to his legacy that lives on in the communities he served so resolutely." In the Silver Dollar Bar on Whittier Boulevard, deputies found the body of Ruben Salazar, 42, a militant Mexican-American journalist well known in the Chicano community. Salazar, for years a reporter for the Los Angeles Times, joined the Chicano-oriented television station KMEX earlier this year and continued writing a weekly Times column that often bitterly attacked racism among white Angelenos. Many of Los Angeles' Mexican Americans looked to Salazar as their spokesman and interpreter to the Anglos. There is a notable new militancy among Chicanos, inspired by the successes of Cesar Chavez in organizing California's farm workers. Salazar's death, added to that growing hostile spirit, could touch off angry additional waves of Chicano unrest in the East Los Angeles barrio. Since then, the militant has been martyred, muralized and now is a musical in Ed Begley Jr's César & Rubén that has the two icons meeting in the afterlife. It opened as a play in 2003, then became a musical, and just opened in Austin Texas where it will be running until October 9. Now Salazar will be a stamp. [In memory of journalist Rubén Salazar] Daniel Hernandez with more links.